where your can click "Play" to see your creation, and "Stop" to stop it. 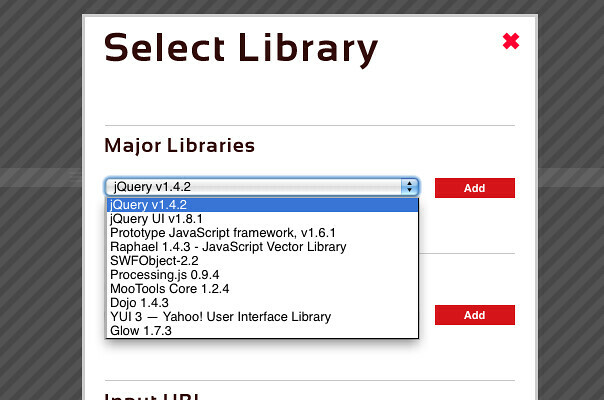 click on "Add Library" and select from "Major Libraries" to use one. jsdo.it developer blog born today! please subscribe, or follow us on twitter for updates.